While homo sapiens were capable of abstract thought almost 100,000 years ago, it took much longer for the human mind to invent abstract painting. It wasn’t until the beginning of the 20th century that artists such as Wassily Kandinsky, Kazimir Malevich, and Hilma af Klint created abstract works with no identifiable references to the physical world. Abstraction quickly became the lodestar driving artistic production, a trend that largely continues to this day. But just how popular is abstract art with collectors and art enthusiasts? To try and answer this question, we assembled a database of 112,600 Instagram posts made last December for which the geolocation and/or hashtags indicated that the user was in Miami during Art Basel in Miami Beach and the dozen-plus other concurrent art fairs. Eliminating selfies and other extraneous pictures yielded approximately 74,760 images, which represents the collective visual record of all the artworks Instagram users saw in person that they also elected to share with their followers. Building on our earlier work, we then ran these images through an artificial intelligence tool designed and optimized for art, in order to categorize the art into broad groupings by genre (e.g., abstract, figurative) and to identify the 10 most Instagrammed works of art. These algorithms were developed by Artrendex, a New York–based technology startup of which Ahmed Elgammal is founder and CEO. Some surprising results emerged. WHAT’S THE MOST POPULAR MODE OF ARTISTIC EXPRESSION TODAY? While abstraction remains popular, its relative importance to the art-going public seems to be declining. Across all of the Miami fair visitors this past December who shared their pictures on Instagram, abstract works of art accounted for just 36% of the total number of posts, down from 52% the prior year. Figurative works, by contrast, rose to 36% from 30% the previous December. The third-most-popular category, at 18%, were works of art that referenced landscapes or interiors in some way. Artworks that were predominately text-based represented 9%, while just 1% of the images represented specific objects—for example, a screwdriver or a pair of shoes. We compared the Miami posts to a larger data set of Instagram posts we have been aggregating over the past 18 months from other top art fairs. As shown in the table below, Instagram users’ fascination with abstract art has declined over the past year, replaced with growing interest in figuration, landscapes, interiors, and text-based art. While cause and effect are hard to pin down, our sense is that it has become increasingly difficult for artists to stand out in the marketplace by trying to innovate within abstraction. Tweaking more traditional tropes may be a more surefire way to stand out in the crowded art marketplace. One possible explanation for this change is the noticeable shift by galleries and museums over the past few years to show work by women artists and artists of color. A notable feature of this art is that it tilts toward representation and portraiture. Recent examples include the Charles White retrospective at the Museum of Modern Art; many of the artists included in “Soul of a Nation: Art in the Age of Black Power” at Tate Modern and the Brooklyn Museum; and gallery shows by Njideka Akunyili Crosby and Dana Schutz. Many of these artists are known for “painting into the picture” images of people and places that are relevant to their communities. Abstraction is simply incapable of expressing their artistic intent. This shift in the artists being shown—which is likely to continue for the foreseeable future—suggests that abstraction may continue to garner less and less attention among art enthusiasts. 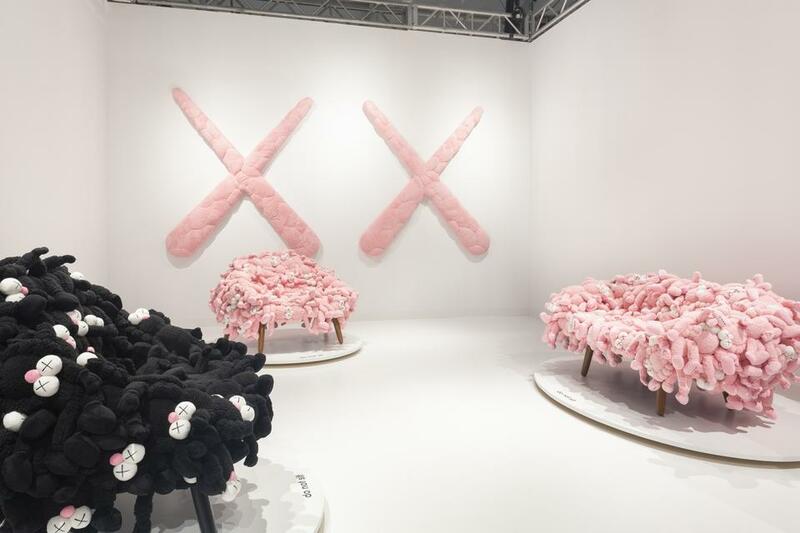 WHAT WERE THE MOST POPULAR WORKS OF ART DURING THE 2018 MIAMI ART WEEK? 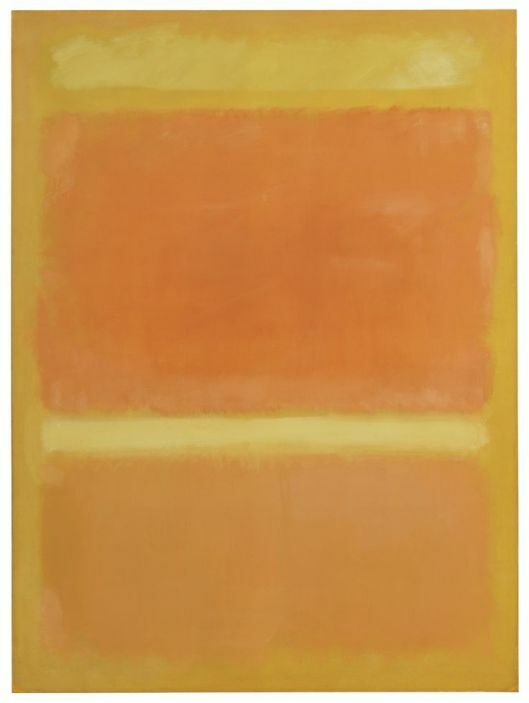 The declining interest in abstraction becomes more apparent when we look at the 10 most Instagrammed works of art, only one of which is abstract: a painting by Mark Rothko. Bold images of women rendered 10 feet tall make up Tristan Eaton’s spray paint portrait American Power. While the Los Angeles–based artist installed this work in 2017 as part of the Wynwood Walls program, it continues to attract attention a year on, becoming the third-most-Instagrammed work during the 2018 Miami art fair season. Born in the Bahamas, with an MFA from Yale, Tavares Strachan is known for his large, conceptually laden installations. For Miami, he created a neon sculpture for the Faena Festival, a new art festival timed to coincide with Art Basel in Miami Beach. Like Jack Pierson, the pithy phrase “We Belong Here” can be interpreted both as a declaratory statement or an oblique question. Queen Andrea is a New York–based fine artist, muralist, and graphic designer. She is one of the few female graffiti artists in a category that tilts predominantly male. Her joyful mural was the fifth most Instagrammed work of art. The most expensive work of art for sale at Art Basel in Miami Beach was a 1955 painting by Mark Rothko, with a $50 million asking price. The price was especially notable because the gallery bought the painting just four years earlier at Sotheby’s for $36.6 million. 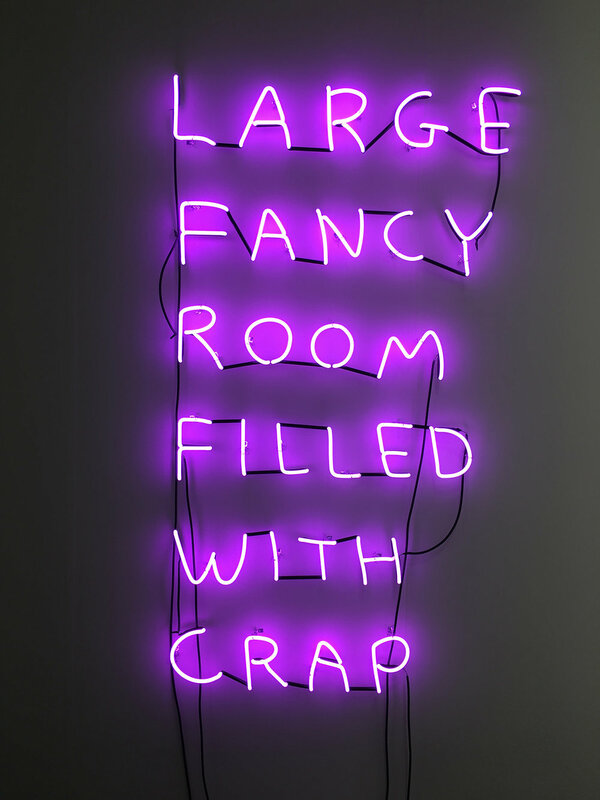 Amidst all the booths at Art Basel in Miami Beach was a neon piece by David Shrigley that spelled out, in his handwriting, “LARGE FANCY ROOM FILLED WITH CRAP.” Known for his sardonic sculptures, drawings, and videos, Shrigley’s works regularly appear at major art fairs. At the most recent Frieze Art Fair in London, his blue neon sculpture that read “MY ARTWORK IS TERRIBLE AND I AM A VERY BAD PERSON” was the most Instagrammed work at the fair. Standing almost 7 feet tall, Jeff Koons’s Smooth Egg with Bow (Magenta/Orange) is from his critically acclaimed “Celebration” series. There are five unique versions of this sculpture in different color combinations (blue/magenta, magenta/violet, magenta/orange, red/yellow, and silver/red), one of which sold at Christie’s for $7.4 million in May 2016. The gallery offering this specific work was reportedly asking in the region of $10 million for it. With this mesmerizing and ethereal work, Miya Ando transformed the exterior of a building by depicting a sunset and sunrise on all sides of it. From the beach boardwalk to the neighboring streets, it was an unforgettable site. Lévy Gorvy transformed its booth at Art Basel in Miami Beach into an homage to Keith Haring’s Lower Manhattan Pop Shop. This painting is from the year the artist was diagnosed with AIDS. It depicts figures acting out “see no evil, hear no evil, speak no evil” in a pink triangle motif made famous by ACT UP, an AIDS activist group. *This article appeared in Artsy Magazine on January 30, 2019. Click here to be taken to the Artsy website. Ahmed Elgammal is the director of the Art and Artificial Intelligence Laboratory at Rutgers and the founder and CEO of Artrendex.